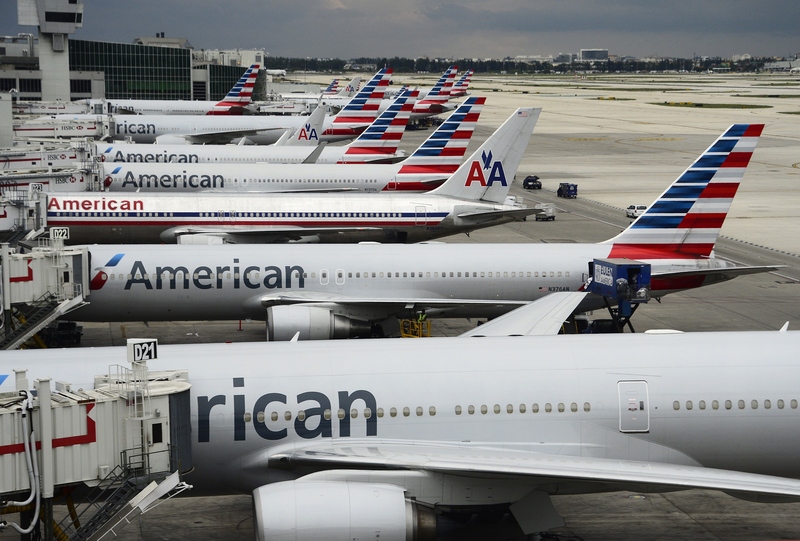 Why Are American Airlines Flights Grounded Across The United States? The Airline Blamed "Technical Issues"
The FAA said on Thursday that many American Airlines flights were grounded nationwide after a computer glitch. "We’re working to resolve technical issues impacting several airports as soon as possible. We truly apologize," AA wrote on Twitter. It was unclear how long flights would be grounded, but certainly until mid-afternoon Eastern Time, CNBC reported. Reuters also reported that all flights departing from Dallas-Fort Worth, Miami, and Chicago O'Hare with destinations inside the United States had been grounded. "FAA Air Traffic Alert: @AmericanAir requested a ground stop for all of their traffic in and out of DFW/ORD/MIA due to their computer issue," tweeted the FAA.